Before and After: A multi-instrumentalist, Bowlin won the 1979 National Guitar Championship. He has created audio lessons in twin guitar and twin mandolin playing for Musicians’ Workshop, and has recorded as a sideman with many bluegrass and country artists. 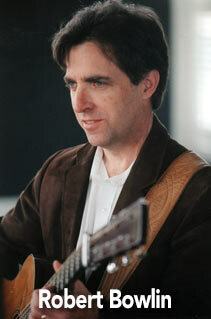 He has been a member of the Osborne Brothers’ and Kathy Mattea’s bands, and currently plays lead guitar and fiddle with the group Shady Mix.